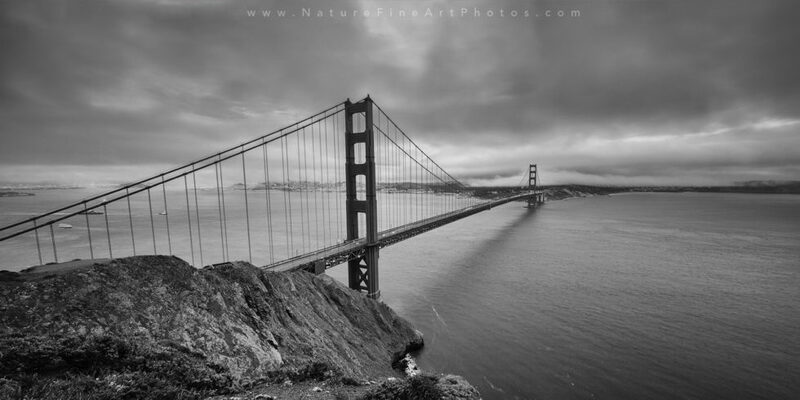 A black and white panorama of Golden Gate Bridge in San Francisco. One of San Francisco’s most iconic landmarks opened in 1937 after years of struggling with nature’s elements. The Golden Gate Bridge took 4 years to be built, and is over 1 mile long. If you get a change the Golden Gate Bridge is something that shouldn’t be missed.